Grooming and shaping your eyebrows can be a struggle. Even if you've become proficient in contouring or have mastered the dark magic of making your winged eyeliner symmetrical, your brows may still be an enigma. But don't feel bad — it's just one of those things. Lena Dunham once called good brows her "great white whale" and eventually turned to microblading — a type of semipermanent tattoos used to create fuller-looking brows. While this can be a great way to achieve near-perfect eyebrows, it can be expensive and, yes, painful. 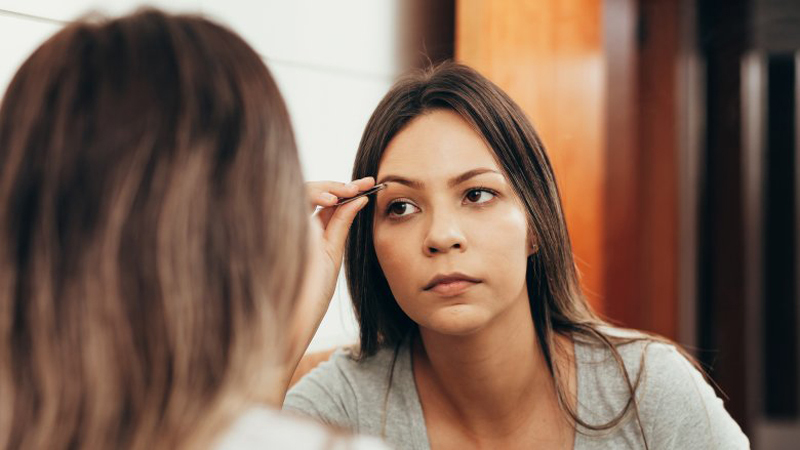 Whether you've been considering microblading or not, there are plenty of things you can try now to get your brows on fleek — and all without spending hundreds of dollars. We've compiled some of the best tips from the world's leading brow experts to help you correct any and all of the brow gaffes you've been making — even if you didn't even know you were making them. In the 1990s, thin eyebrows were the thing. Lisa Potter-Dixon, head makeup artist and national brow expert for Benefit, described the retro brow as a tadpole because, as she explained to Elle, "It literally looks like that big headed squirmy thing that you can find in a pond." According to the brow guru, having too much weight at the start of the brow followed by a pencil-thin tail creates an "odd balance which tends to make your brows the main focus of the face for all the wrong reasons." 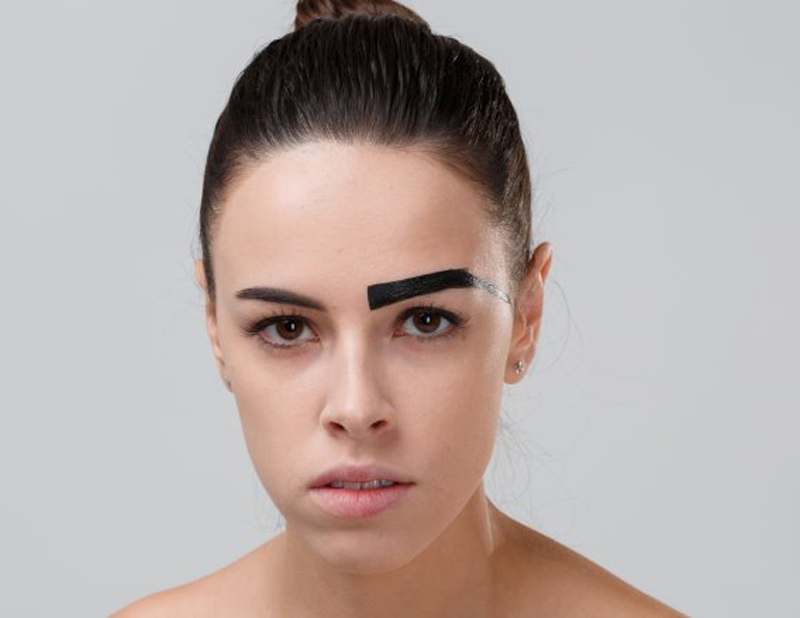 If you came of age in the "tadpole" brow era, this may still be your go-to. Nevertheless, there's no time like the present to embrace fuller, more flattering brows. To begin, Potter-Dixon advised letting your brows do their own thing for around six weeks. This way, you'll be able to see how well the hair fills in before trying out a new brow shape. If you were a victim of the tadpole brow, you may think you should never pluck again. While that would be lovely, you'll probably still end up wanting to shape them and fill in any bare spots. That's where brow products come in. Choosing a color for your brows can seem just as daunting as applying the product itself, but it doesn't have to be that way. Brow experts interviewed by Self recommended following a simple guideline: Choose a brow product that is one shade lighter than your hair color. Celebrity makeup artist Kimara Ahnert explained, "Lighter tones look more natural and are more forgiving." Giselle Soto of Giselle Soto Brows in Los Angeles, Calif. said, "If you have dark brown hair, choose a light or medium brown powder — I feel that brows should complement the face, not overpower your features." If you have blonde or red hair, Soto further advised sticking with either a dark blonde or taupe brow product. When tweezing your brows, you might not think your bathroom mirror is all that helpful. Leaning over the sink to see all of your tiny brow hairs — especially if they're blonde — can be quite the task. 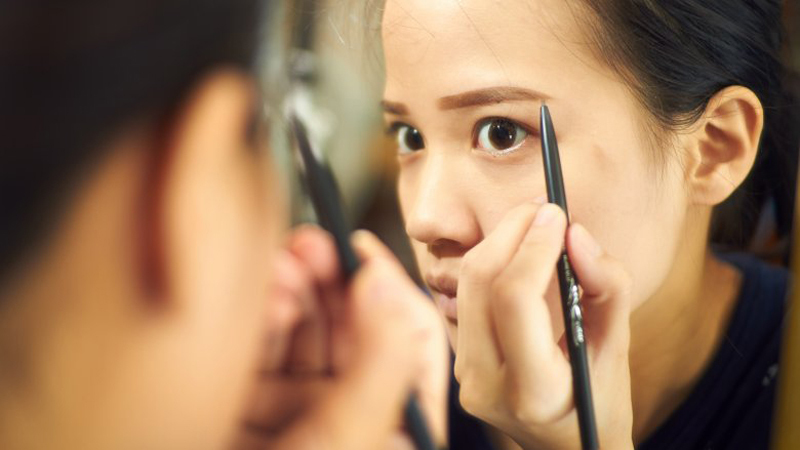 Nevertheless, you should think twice before relocating your brow-grooming sessions to a makeup vanity equipped with one of those handy dandy magnifying mirrors. "By viewing your brows too close up, you lose perspective on how much hair you've already taken off," celebrity eyebrow specialist Joey Healy told HuffPost. Instead, the expert recommended standing or sitting "an arm's-length distance from the mirror." This way, you won't have to worry about your brows not matching. Healy also advised using "as much natural light as possible when plucking your brows." While those vanity lights may be great for applying makeup, they just won't be of much use when it comes to grooming and shaping your brows. As you age, you might notice your brows getting thinner and thinner. Lisa Potter-Dixon, head makeup artist and national brow expert for Benefit, told Elle that this most often results in losing "the tail of the brow" — making for some seriously short brows. While this is a total normal part of the aging process, you may desire to add some length back to your brows. If so, product is your friend. "Filling your brows in with a [fiber] gel is the easiest option," the expert explained. "This adheres to the skin and the hair and will give you a natural, volumised finish." Without your natural brow as a guide, it can be a little challenging to know where to end the brow. Thankfully, there's a simple method you can use to find out. Potter-Dixon recommended using a makeup brush and holding it "against the corner of the nose and at the angle of the end of the eye." Voila! That's the spot at which to stop. Raise your hand if you've ever tweezed above your eyebrows. 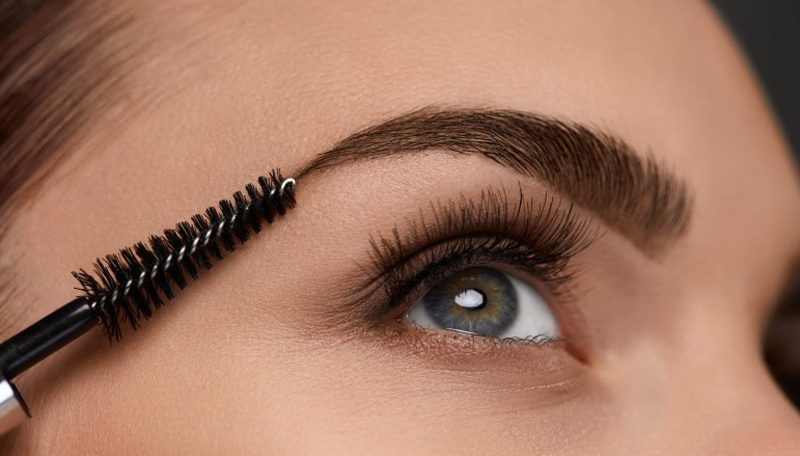 We've all done it — and probably never thought much of it — but according to eyebrow specialist Sania Vucetaj, this is not a good idea. When speaking with Elle (via Romper), she revealed that plucking above the brow could cause you to "accidentally tweeze into the arch," which would bring "the brow down instead of lifting it up." Naturally, that's not the intended look. If you have some brow hairs above the arch that are causing you some major frustration, there is something you can do. 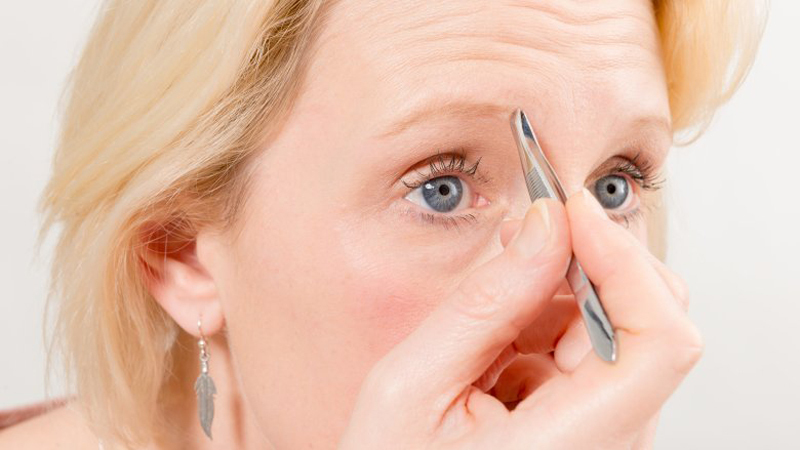 Instead of plucking, temporarily trade in your tweezers for a pair of brow scissors. Brow expert Kristie Streicher told Elle that she recommends brushing your brow hair up and trimming just one hair at a time — and "only the very long hairs." This will enable you to still achieve the natural-looking "feathered brow." After filling in your eyebrows, highlighting just below the arch of each of your brows is a great way to finish off your makeup look. If you do it correctly, that is. "If you're going to highlight underneath the brow, it needs to be a gentle highlight," Mally Roncal, celeb makeup artist and Mally Beauty founder, explained to Self. 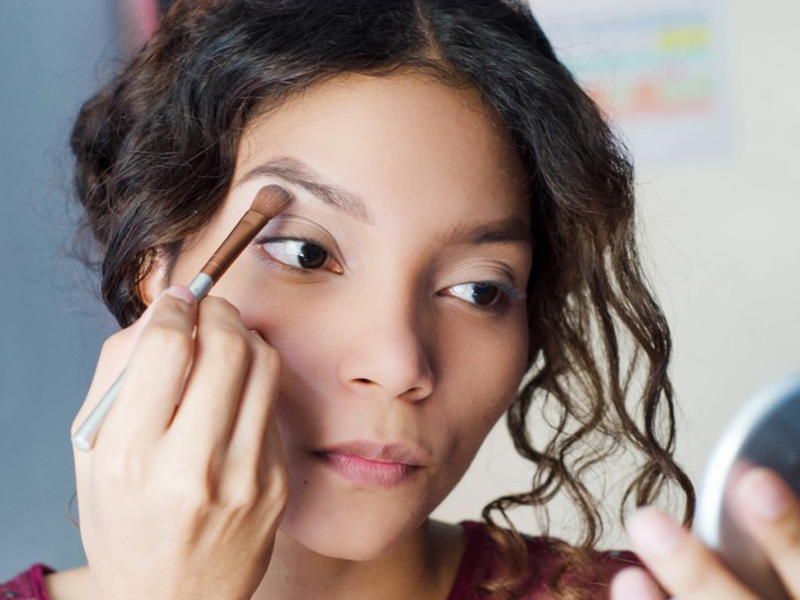 The expert said to stay away from any concealers that are "too white." She continued, saying, "My general rule is that the concealer should be one shade lighter than your skin tone. Especially if you're doing a strong highlight on the cheekbone, you don't want that to compete with the brow bone." Giselle Soto of Giselle Soto Brows in Los Angeles, Calif. said you can achieve a great highlighted brow by using highlight powder on a flat brush, making sure to apply in a back-and-forth sweeping motion. 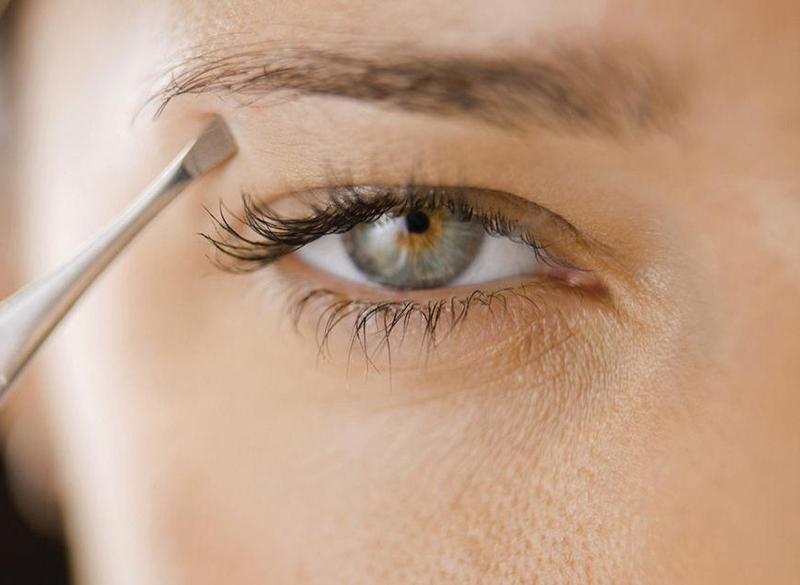 If you gave up your tweezers for eyebrow threading or even waxing many moons ago, well, you may want to sit down — we have some bad news. "Waxing and threading are a fantastic method for cleaning up body hair or chin hairs — but not brows," Maribeth Madron, Maybelline New York brow expert, told Refinery29. No, say it ain't so! Madron explained why these other methods — despite being very popular — are not the best for your precious brows. "Waxing rounds your brows, which in turn can make your face appear older," she told the site. "As for threading, when one thread is in the technician's teeth when they're pulling the hairs, they end up looking over their shoulder, so they can't even see what they're doing." Well, she does have a point. 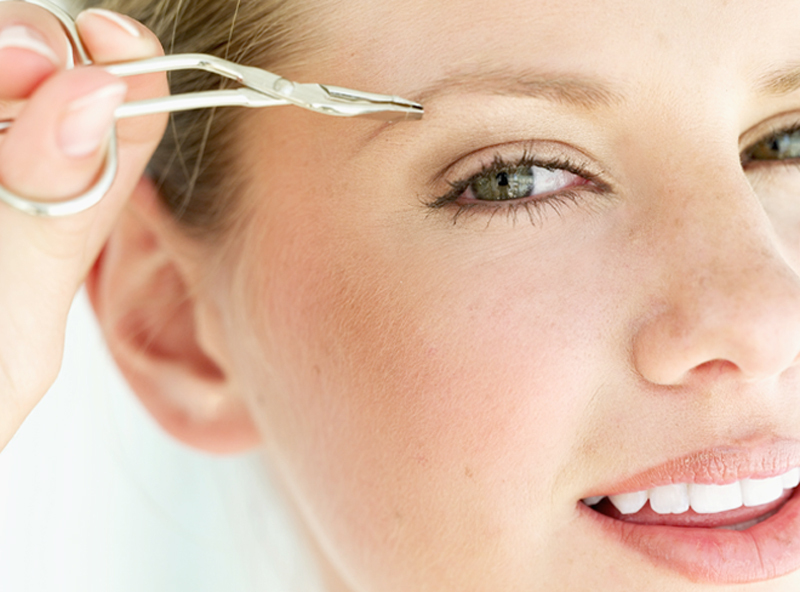 Sadly for the plucking-averse, tweezing is truly the best method to achieve stellar brows. If you follow a daily skincare routine, you are likely pretty used to applying moisturizers, eye creams, serums, and much more, but what do you do about your eyebrows? Do you make it a point to moisturize your brows or, maybe without even realizing, lather them up with your facial products? According to Sania Vucetaj, brow expert and owner of Sania's Brow Bar, this is something you should stop doing. Like, yesterday. 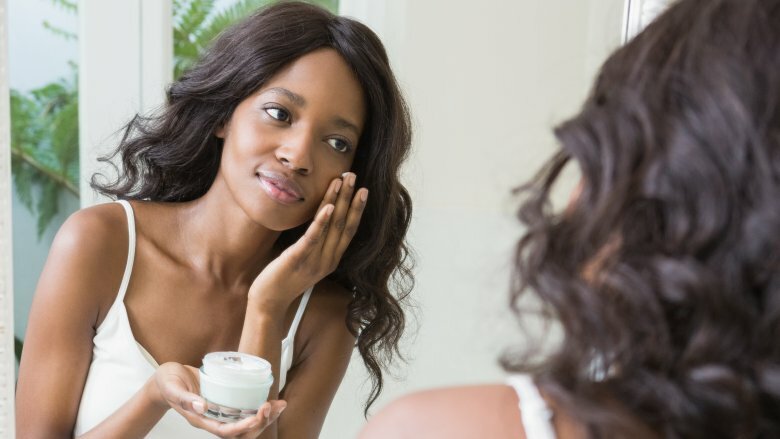 "Avoid getting any lotions, gels, sunscreens, foundations, or moisturizers on or around the brow area," the expert told HuffPost. "They seep into the brows and prevent growth, or worse, cause the hairs to fall out." Yikes! There is one exception, however: brow conditioner. Lisa Potter-Dixon, Benefit's head makeup artist and brow expert, told Elle that anyone with sparse brows can use a "brow conditioner, morning and night, to encourage fuller looking brows." As a kid, you might remember having taken a permanent marker to your mom's beauty magazines to enhance the eyebrows of various models. While it probably made you giggle back then, who could've imagined a time when Sharpie'd brows would actually become a thing? And on actual human beings at that. Even if you haven't turned to permanent marker to do your eyebrows — phew! — you could still be dealing with brows that look "painted on." According to microblading expert and founder of The Browgal Tonya Crooks, who spoke to Elle, "being too heavy-handed is a sure-fire way to create blocky, painted on brows that never look natural and often appear as if the brows have been coloured in." Crooks told the magazine that you'll want to "use light strokes to create individual hairs on the brows." If you opt to use an eyebrow pencil, the expert said you'll need to make sure it's as sharp as possible. "You need precision to achieve good brows!" she exclaimed. 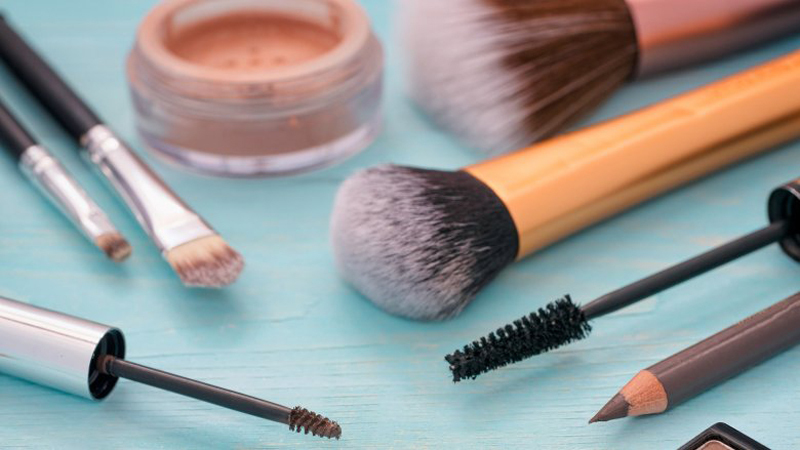 When browsing a makeup counter at the mall or any makeup aisle of a department store, it's all too easy to get overwhelmed with brow products. From gels to powders to pencils, there's a huge number of items available to help you create the "perfect" brow. Instead of winging it and picking something at random, why not follow brow expert Giselle Soto's advice? "Powder helps give brows a softer, more natural look as opposed to pencils or pomades, which can sometimes look too heavy or leave harsher lines," she told Self. If you're a novice at filling in your brows, powder is a good place to start. It's also helpful for filling in sparse spots, said the expert. Pencils are ideal for creating individual hairs, as Tonya Crooks advised, and waxes and gels are a good bet for full brows. You may want to stay away from pomades unless you're ready for some seriously striking brows. Tweezing your brows can be a slippery slope. 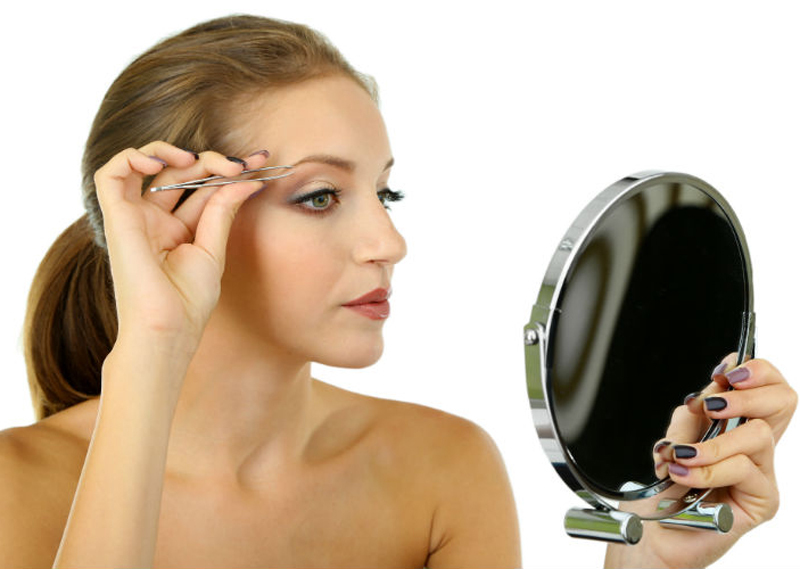 In your past attempts to perfect your brows, you may have found that you went too far and over-plucked. If this happens every once in a while, it's okay. But if you keep up this habit, you're never going to the brows you really want. If you find yourself routinely over-plucking, Lisa Potter-Dixon, head makeup artist and national brow expert for Benefit, has some fundamental advice for you. "[It's] simple, you're addicted to the tweezers!! Put them down!" she told Elle. Instead of trying to correct your over-plucked brows yourself, this is a time when Potter-Dixon recommends scheduling an appointment with a brow expert. "These guys are the pros and can help you get your brows back to your dream shape (although this may take time so be patient)," she explained. "Think of it like this," she told the publication, "you [wouldn't] cut your own hair, would you?" You've heard the importance of considering your face shape when getting your hair cut, but did you know your face shape has an equally important role when it comes to grooming your brows? "The shape and size of your eyes play a role, but face shape is hands down the most important factor in determining the ideal angle for your arches," Sally Hershberger salons' brow specialist Jo-Anna Lynn revealed to Allure. For those with round faces, Lynn recommends sharp-angled brows. If you have a heart-shaped face, you'll want to avoid "heavy shaping" and instead just clean up your natural brows. If you have a long face, you can experiment with either a high or low arch, but you'll want to make sure your brows extend far enough horizontally to add balance. If you have a square-shaped face, Lynn recommends going "thick with a nice, strong arch." And, lastly, those of you with oval faces, you're in luck. "Thick, thin, dark, light … there are no hard and fast rules for oval faces," she revealed. Everyone who chooses to wear makeup has their own individual routine for getting it done. While you may think the order doesn't matter much, there is a recipe for success — well, at least when it comes to your brows. Maribeth Madron, brow expert for Maybelline New York, told Refinery29 why it's vital to avoid starting with your brows. "It's important to finish your complexion first. 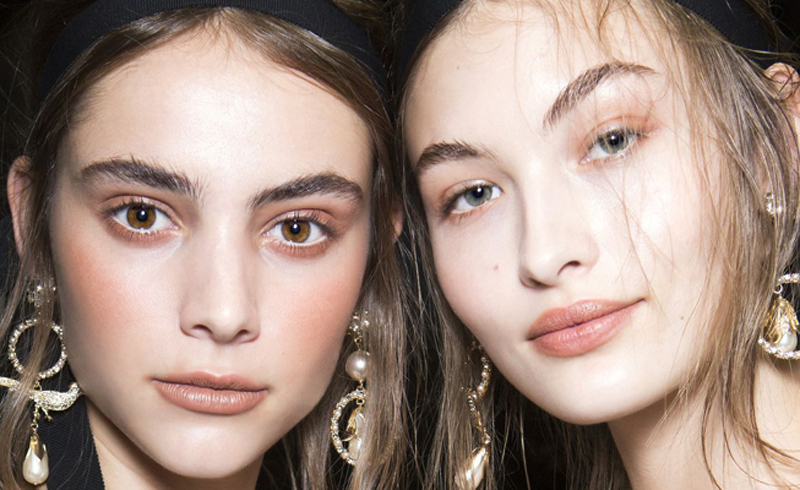 If you're washed out, with no blush or color, you're going to totally overdo the brows." According to the brow guru, your eyebrows should be left toward the end of your regimen. 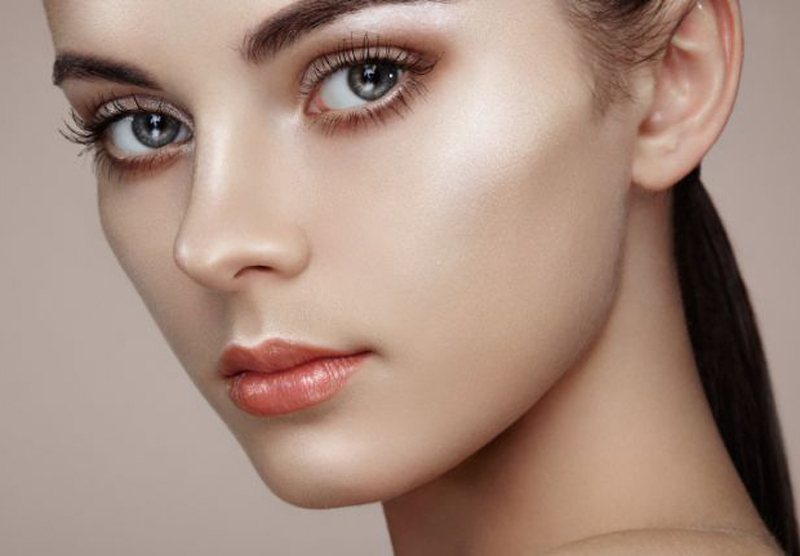 If you start with foundation and concealer, move on to bronzer, then blush, and then your eyebrows, you'll better be able to create a cohesive and balanced look. After you do your brows, you can then start on your eye makeup, lip color, and anything else you care to add. When you start filling in your eyebrows, it's only natural to want to begin where your brow begins. However, Maribeth Madron, brow expert for Maybelline New York, told Refinery29 that you'll want to fight that desire and instead start where your brow is "naturally fullest" — meaning in the middle of your brow. While you're probably not used to starting many things from the middle, this is one area where you'll be happy you did. After filling in the middle, you should "work lightly toward the tail," according to the expert. Of course, this doesn't mean you totally neglect where your brow begins. Once you're done filling in the middle and the tail, Madron advises going "back to the start of your brow" to "add a few, fine flicks, so the inner corner is lighter and more natural-looking than the outer one." While it may feel strange to try this out, you're much more likely to get a feathery, gorgeous brow using this technique.